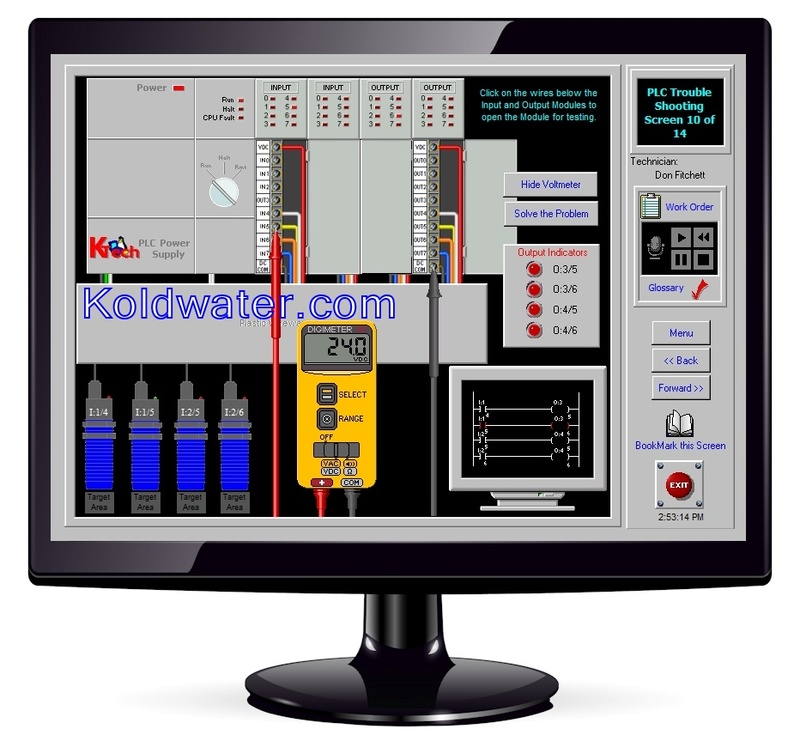 This PLC Training Software includes Analog instruction, an area that has been overlooked by most training materials. 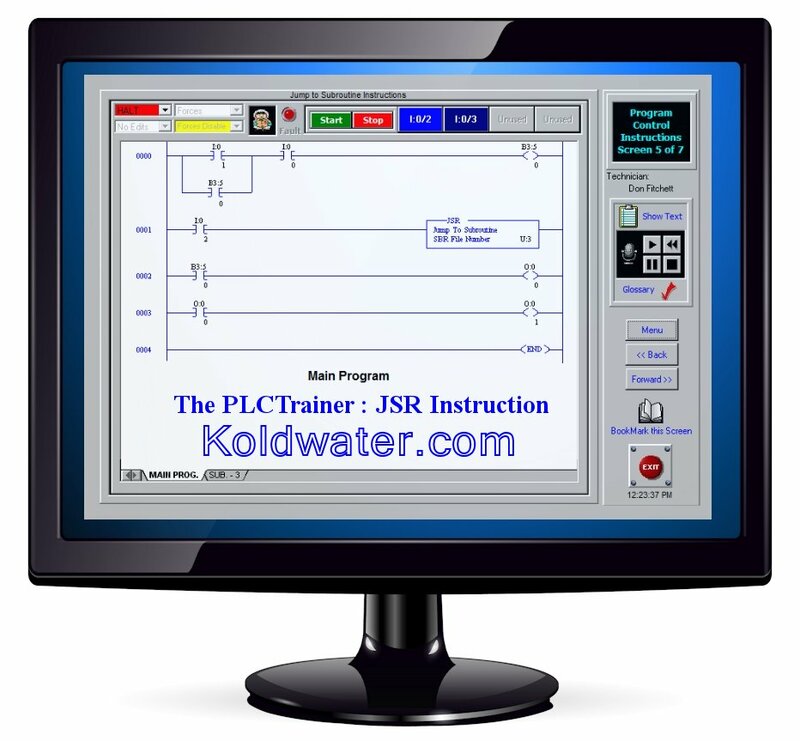 The PLCTrainer includes a Laboratory Manual full of proven practical applications that allow the student to gain an understanding of the PLC's Instruction Set. 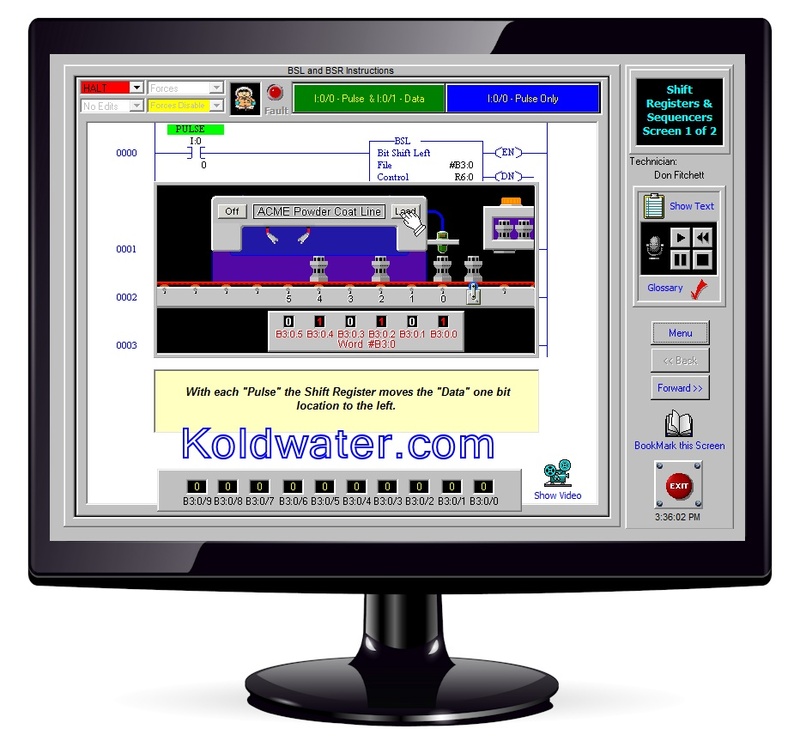 This CD/software package starts with the LogixTrainer and has the PLCTrainer built into one. The screens demonstrating the Instructions have a look and feel of RSLogix, plus if you own a copy of RSLogix you can open it from within The Logix PLCTrainer ! Site licenses have a mini LMS that are network compatible for student/employee progress monitoring and reporting. Chuck Pheiffer Maintenance Mechanic "Many of the guys that I work with have been using and talking about your PLCTrainer bundle. I finally ordered a copy and want to let you know that this is exactly what I have been needing. My understanding of the instruction set for our 5/04 processors is so much better now. Now when I am troubleshooting a process, I can look at the logic in monitor mode and actually understand what is supposed to happen. This made my job sooooo much easier." Fred - "I am up to my third educational CD that I have purchased from you, and I just had to let you know that you are all truly amazing people and your dedication to providing a comprehensive and a USER FRIENDLY software is nothing short of brilliant. I now own the Constructor 9, The PLC Trainer and the CLX Trainer. 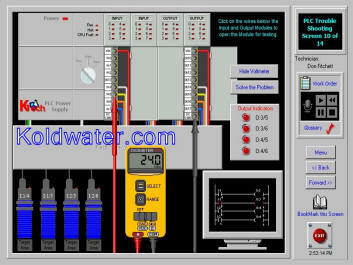 My wife thinks I am out of control but I intend to buy the SCADA very soon. When I am studying sometimes I just rock back in my chair and laugh to myself at just how easy you have made it to learn. Thanks Heaps"
Mike Smith - Instructor - Francis Tuttle Tech Center "I purchased the PLC Trainer software after seeing it being used in training classes at Bama Foods in Tulsa. 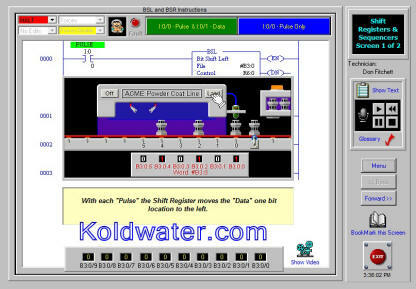 The engineering manager said they searched the Web for PLC training software, and found Koldwater Industrial Technology. My students really like to use the software to help them understand the book we use. After using the PLC trainer, I purchased the LogixPro PLC simulator. It is excellent! It allows you to experiment with the programs at home. My students are really enjoying the ability to try out programs before they input them on the real PLC's. Any time I have emailed questions, I received a reply almost immediately! This is a great company with which to do business. Thanks for supporting the educational community!"